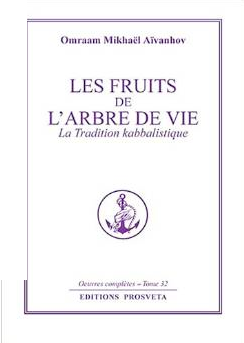 I have just added a page for you with all the main concepts in the Tree of Life in the Kabbalah tradition. There is also a Norwegian version. 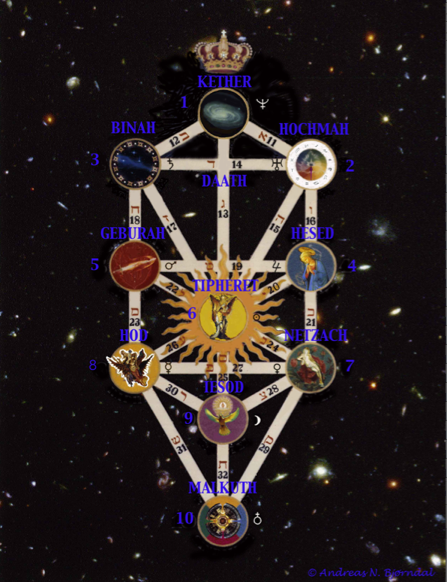 The Tree of Life is one of the most condenced esoteric symbols. It is like a map of the universe or God´s architectural drawing of the spiritual universe. Some traditions use different terms, so I have tried to collect the main ones making it easier for you to compare and understand. Enjoy – remember to press Like if you like and to Follow if you want to be updated on related articles. Aquamarine, like the clear transparent blue sea unites you with an expanded perspective of reality. It calms, sooths and roots you with trust through a connection and perception of truth that is for the benefit of all. If stuck it makes it easier to let go, be it of conflict by having a truthful and benevolent communication, or by making things flow again. On the 29.th of October we explored Aquamarine. This gemstone gave us an immediate feeling of lightness, elevation and expansion. It lifted up and expanded the mind to perceive the real reality from a bigger space of perspective. It shared with us the experience of how you can contain, surround and embrace a person and at the same time be deeply united within your deeper roots, the very core of yourself. It is like you expand yourself to also embrace the other person, entering a bigger sphere that contains you both. It is like perceiving yourself and the other from a place where you and others are within the same unit. Any intention you have from this state is about what is beneficial for a bigger whole, a higher holon. When in this state you are resting or seated in a greater awareness both in space and time. You feel you are in the here an now, in the present, you feel you are as much yourself as you are the other. In this state exchanges and activities that define change of time and difference in location become transcended, like they did not happen. Rather than getting triggered in the exchange of words and mimics you are deeply connected within you and the other. There is no need for exchange of single thoughts or ideas when you emerge into this common mind. It is a more quiet peaceful state. Aquamarine connects you to a place of bigger truth, with pure intentions of goodness and benefit for the All. This is a good state to connect to when you need to tell something sad, bad, critical or difficult to somebody. It is also a good gemstone to connect to when a person of authority might be telling you something about yourself or your children that is critical or an assessment that you could find challenging. Even if you are in court, aquamarine can help to connect you with a state that transcends the dispute and gives you peace of mind, security of a just outcome and a feeling of freedom from the conflict. In situations where communication has become stuck aquamarine re-establish the flow or dissolves the conflict. It does this by connecting you with something bigger than the single parts in a conflict, a state that represent a higher purpose, perspective or truth. A truth that transcends your own and the others and that has always been there. That gives you clarity of thought and speech. Aquamarine also helps you to express the truth, to express yourself in a caring but clear and truthful way with a smooth flow. Rather than things becoming dry, constipated, obstructed, tight, tense and full of contradiction, aquamarine gives a lightness, clarity, freedom and flow to everything. Anything that is stuck, like if you are obstinate, constipated, dwelling in the past, when things seems heavy and challenging, aquamarine helps you to get out of that state, to make things flow, it lets you make a new start. Actually to be more precise it is not a question of restarting but of returning to the original state of freedom and life. This returning is not a regression as you take with you your gained experience, but perceive it now from a state of joy, lightness and gratitude. Gratitude of being reconnected with the real reality, of being lifted up to a more truthful and peaceful state, of taking good choices with ease and bringing spirituality into the situation and into your daily life as such. When connected with aquamarine, you find it natural to help friends and family and the people in your life by letting them enjoy the uplifting, by giving them gentle words, you are in a state of generosity and surplus. This also explains how aquamarine dissolves conflicts, tensions and stuck situations. The name Aquamarine, aqua-marine is water-sea or sea water. It is likely that when it was given name, the name giver perceived its qualities. With this perspective we can understand how things too condensed and stuck, starts to flow, also the vast perspective and feeling of belonging to a bigger unit. The state of transparency, clarity and flowing are all in accord with this. As water floats so does also Aquamarine dissolves illusion that keeps you stuck. It gives you a new perspective that clarifies your mind and makes your speech and communication smooth and flowing. 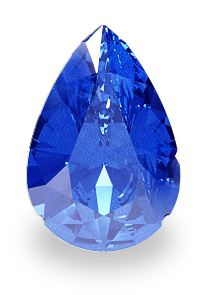 The flowing, clear, transparent bluish light is common for the stone as for the name it bears. According to the Kabbalah the qualities of Aquamarine corresponds to the sphere of Hesed in The Tree of Life. Hesed means “loving-kindness” and is associated with Jupiter and qualities like truth, justice, expansion, vision and perspective as well as the colour blue. We can understand aspects of Aquamarine in the polarity that is between Hesed and Hod, Jupiter and Mercury, Pieces and Virgo or Sagittarius and Gemini or Mature woman and Young boy. All of them have a polarity between something great expansive and the small parts or fragments, or the perceiver rather than the exchanger. Aquamarine connects you to the qualities represented by Hesed. Aquamarine makes it easier to reconnect with a higher purpose, meditate, establish a sacred sanctuary in your home, a regular spiritual practice etc. Instead of being stuck in the fragments of Hod, misunderstandings, chaos and restlessness it reunites you with an expanded perception that roots and grounds you to the spiritual world with truthful, genuine peace. The holonistic explorations of 2015 has shown us that with all the gemstones you get in touch with a state that is more basic, original or even more static, but it is in a peaceful and expanded way. If you imagine the lattice of a crystal moving up or down, left or right it is all the same, movement does not make a difference. It is like all these states unite into a common state that connects them all, or like being in a state where any motion or activity is a manifestation of that potential you are connected with. Even if minerals are crude, and not so developed as the other kingdoms, they seem to be in touch with a more original state. You could compare it with the paradox of evolution and involution. They are both less evolved as well as less involved. They are closer to the emanation of creation. They still have the connection with the creative fire. This world of emanation the world of fire is called Atziluth in Kabbalah. Remember to press “follow” if you want to be updated! Sore and dry in throat and pharynx. There where situations with confusion if mobiles and computers were open or closed, black or light on screens at wrong times and questions if things had been published or not online. Incidences of water pipelines that broke, that could not hold the pressure anymore and water flowing. The emerald came forward revealing the abundant green vitalizing gifts of life. As the fifth of our exploration journeys into gemstones (7/5-2015), it confirmed common themes and qualities we did start to see in all the gemstones so far. But also it gave us its unique qualities as one of the most appreciated gems of them all. With its graceful gentle but dynamic power Emerald showed it was dissolving the qualities of duty as we see them in the modal verbs such as should, must, would, could, might, into a present state of accepting and flowing with life. Emerald helps you to make the right priorities in life, so you do not need to regret not having lived at the end of your life or when faced with terminal illness, as cancer. It helps you appreciate and choose the intimate close friendships or relation to loved ones compared to the relations that are defined by duty, responsibility, obligation or commitments based on “shoulds” and “musts”. This revealed to us its polarity in Kabbalah between Binah and Netzach, planetary between Saturn and Venus or between the Archetypes The Old and The Young Girl. A polarity that can be expressed with many different words; It is a polarity between the feeling of having limited or unlimited time. Between death and life. Between a closed isolated inhibition and intimate tender loving care. It is the polarity between the old serious duty bound and the young living girl in love. As well as polarity between the authoritarian religious leaders and the inner individual realization of the spiritual world. Life gives hope, as the new spring does with its green lush. Hope is like connecting to the life that always is. Hopelessness is being stuck in a dead end road, in a situation that is not nourishing you. A situation that is killing you. Emerald helps you to dissolve that, let it go, let it evaporate as an illusion. You came from a state of life and you are heading back there. What is between is just passing it is not permanent, it is just illusion. With Emerald you can question yourself why you are hanging on to it, and you can let go, you can live again. It even makes you realize that when you stop your life, you live for ever, it is when you die that you stop dying and live alive. Emerald opens up the heart to humankind and all living beings, it fills you with tenderness and care. It makes you aware of your suffering neighbours in the third world, and as it gives you appreciation of your own manifold blessings it also fills you with the priority of stretching out your hands and giving. It makes you realize that it is more gifts in giving than in receiving, as well as enjoying the blessings of your own life. Emerald gives a pure, clear etheric life force streaming through your whole body, your every cell, and particularly the heart and kidneys. But it also makes you accept impurities that are natural and hence delusions. With its life force it gives you the ability to master and overcome big endeavours step by step when you feel completely overwhelmed by huge impossible tasks or workloads. When you feel sorrow or forsaken or are missing someone, it gives you the ability to give and hence to open up the limitless source within, and the first to be completed or filled then is yourself. 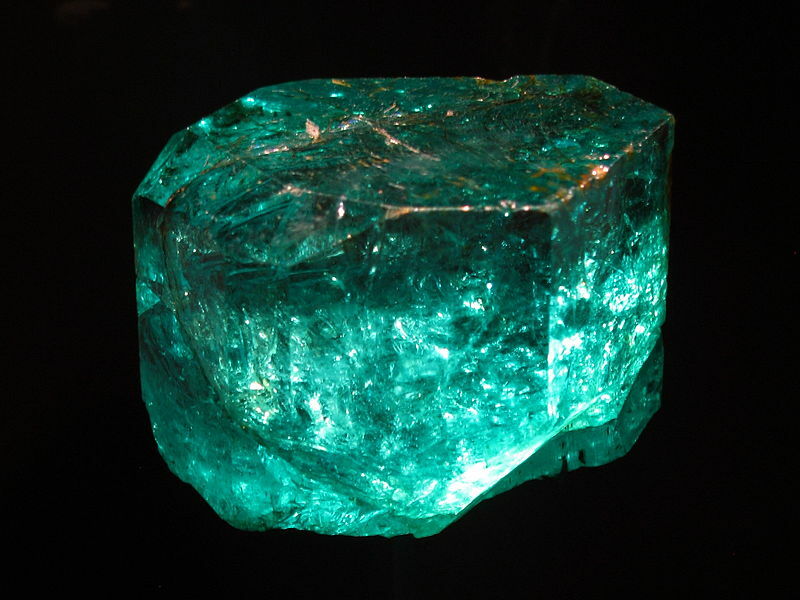 As nature, is natural, and the word nature means birth, so Emerald gives birth to the most natural in yourself, the life force itself, the real beauty and its connectedness to all living. It transforms you, let you move on when stuck, gives you life when dead, gives you hope when you feel despair, gives you love when you feel isolation. On the evening of 9. of april 2015, 75 years on the day of the invasion of Norway by the germans we conducted our holonistic exploration of Sapphire. Sapphire came forward with a strong sense of perfection, with an eye for the smallest details. On one side we saw an almost rigid crystalline need for perfection, on the other the ability to let go of the fastidious demands and accept things just as they were. People that normally would not go to the office with a spot on their cloths felt themselves at ease presenting themselves with a food stain or two. Or in ways they never would have accepted earlier. Perfecting and censuring could be said to be two sides of the same coin, or interrelated. A person aiming at perfection or a censorious critical person both needs the combination of objective observation and critical analysis. On one side they need appreciation for a specific shape, form, structure or result on the other an eye for what can be eliminated, adjusted, improved or sense of precision and the ability of cutting away. This ability requires two archetypes, the archetype “The old” (Binah, Saturn) representing observation, structure together with the archetype “Mature Man” (Gebourah, Mars) representing, elimination and cutting. Together they have a sense of structure and seeing what should be eliminated or modified. Joined they give you the perfect combination for a censorious, critical assessment. Together they give exactness and perfection. On the other side structure with esthetic sense gives the ability for creating something perfect. Gems are precious stones, and in Sapphire the preciousness seems to be combined with being perfect, being the master, king or guru. An idealistic aim for ultimate perfection would feel impossible if there were mistakes, traumas, misdeeds or flaws from the past. Sapphire seemed able to resolve such issues through a realization that we came with a sense of perfection and that we will one day accomplish perfection again. In a sense we have always had the matrix of perfection with us, it just seems to be a transit or an illusion that we are imperfect in the here and now. This veil of the manifested reality that makes us far away from our origin or final destination is removed by the gemstones. All the gemstones we have experienced so far had in common, that they were able to connect us with a timeless state before time and space. This is a state where before and after unites into a crystalline structure where everything is coherently connected. In Garnet it was about the illusion of separation with loved ones, and a realization that even the dead are still close. In Amethysts it was a sense of disconnection with the highest unity and a realization that we are always one with the Godhead. In Jaspis it was about the illusion of separation with your inner autonomy or destiny, and the illusion you had to adjust to others. In Sapphire it was a separation from perfection and an illusion of being imperfect. We experienced that all of them facilitated a connection with a state that could be described as so subtle or primal that it was before separation of time and space, a state that felt like just being, without motion or action, just being as we always were mend to be, or heading back to become again. Almost like in a lattice of a Chrystal were every part is coherently connected or entangled in unity. The one before you above you under you or behind you are all the same as you. Imagine a guru, spiritual leader a sheik, a king, a kaiser, a bishop, a Khomeini or any other figure of mastery or leadership. His or her idea is to be the perfect leader, like a star or gemstone in the mind and soul of their followers. They have a projection to live up to. But nobody on earth is perfect! So there would be a polarity of the feeling inside with the external appearance. Imagine a leader being next to perfect, with perfect partner and family, perfect educational and social background, perfect looks, and appearance, a perfect home in a perfect area. Everything is perfect. Can you imagine the pressure and strain one could feel to remain in that perfection? Not to do any mistakes or of the surroundings or his/her family creating a situation that makes cracks in the perfect surface? Perfection in this sense is static. To evolve you need to get dirt on your hands. What you learn most from are your mistakes. In the exploration we felt an open mind for change, towards the new. It helped you to let go of the past, to let go of where ever we felt stuck. To let go of your past identity, your past role, your delusion of who you thought you had to be. To be clear, honest and truthful to your self and your identity. This is like facing the truth. Like standing face to face with the real. A strong feeling of wanting to face things just as they really are, or to have real genuine contact is what we acquired from this gem. Truth is hidden in the eye, said Omraam Mikael Aivanhov. And many of us felt an affinity for the eye with Sapphire. Gemstones are created under big heat and pressure. Many of the participants felt an aggravation from heat, hot spicy food or alcohol together with dryness of lips and skin, with cracking, as well as broken arteries in the eyes or other places. All this could indicate an internal heat, leading to dryness. A pronounced thirst for cold water in many of the participants confirmed that. Heat flushes and burning sensations add to this as well. Also feeling hot with virility, and vitality. After conducting this experiment we researched some information on the use and application of Sapphire and the resemblance was striking. Synthetic sapphire as sapphire glass is not only highly transparent to wavelengths of light between 150 nm (Ultra violet) and 5500 nm (Infra red) (the human eye can discern wavelengths from about 380 nm to 750 nm), but it is also extraordinarily scratch-resistant. So we see her a stuck hard solid substance resistant to scratching and abrasion. With 9 on the Mohs scale, it is the 3rd hardest natural substance next to moissanite and diamonds. It has an extremely high melting temperature (2030 °C). With its very wide optical transmission band from UV to near-infrared (0.15-5.5 µm) it become significantly stronger than other optical materials or standard glass windows. We can sum this up as a clarity or transparent honesty or truth, so you can see things with your eye as they are. And an identity or perfection that cannot be scratched or broken. Clear transparent living true identity in contrast with a dead virtual mask as a veil of perfection could be a summary for Sapphire. The 12. of March 2015 we explored the gemstone Jasper. There are different kinds of Jasper. Our investigation was of the red Jasper. Its name was Yašfeh ( יָשְׁפֵה ) in the masoretic text or Iaspis in the Septuaginta. 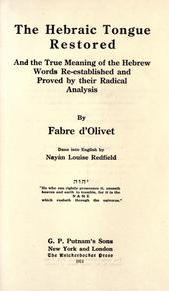 Scholars suspect that Yasepheh may be the original reading. Jasper is usually red, the mineral which the Greeks called Iaspis was generally a richly green one the most prized form of Jasper. The old cultures did not give names arbitrary as we do, but asked themselves, or even perceived the qualities of the object to be named. They used the letters and sounds that represented those qualities when giving a name. Each letter and their sequence hence has a story to tell. In the old cultures we often see that each letter is standing alone as a unit of meaning, a symbol or archetype. 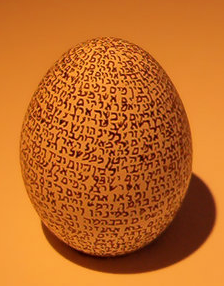 Looking at the first two letters in Yašfeh ( יָשְׁפֵה ) is the hebrew root “Ish“. These are the letter YUD of manifestation of identity joined to SHIN that of relative spiritual movement. It carries the meaning of inspired being, or manifestation of the spirit in the individual, in the sence of a being radiating or shining, or simple spiritual breath manifested into substance. The third letter gives it a distinct, discriminating quality and the last letter makes it alive. One of the ways we could translate this would be: An identity that radiates, with autonomy and clarity as to what it represents in a living way. This happened to be a good description of our exploration of Jasper, even if this was discovered afterwards. Our holonistic approach to Jasper consisted of five steps. We started by sharing how we all experienced the last days or weeks, to see the common themes that could be extracted. After the second meditative step, we started to analyze the themes appearing and perceiving them in a unified way. A step towards this unification is to see the main polarities, as it leaves you with two states, instead of many, and then you can more easily get the unified perspective. There were elements of unity or separation. The separation even gave the feelings of self-pity. There were elements of joy of life and pleasure in nature with the fear of death, and the feeling the time was not due yet. Other polarities were between the open, trusting childlike state and a rigid, fixed condition. Self-sacrifice or self-assertivness. We could conclude that Jasper helps or gives you what it takes not to respond with self-pity, or isolation but rather asserting yourself and enjoy your self-realisation. Many of the participants had been in situations that made them change their plans, directions or decisions quickly or again and again. Schedules were booked and rebooked or canceled. Appointments never happening, being changed, or set in the last moment. Due to traveling, original plans had to get canceled. It is a strong analogy that Norwegian air was on strike so this must have happened on a large scale. In our situation, it was some flights, but as much other appointments. 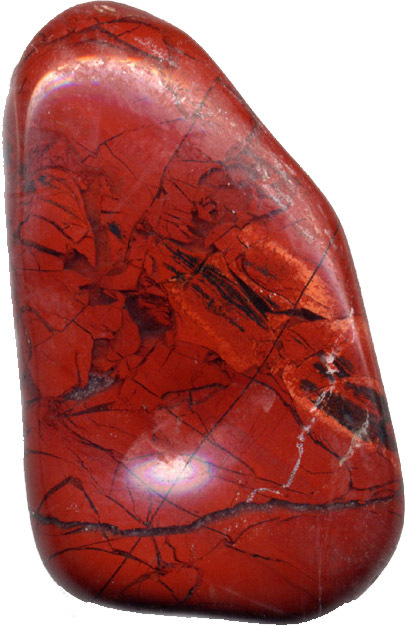 The red quality associated with, Geburah, Mars or Mature Man qualities were strongly coming through in our exploration. Jasper seems to promote your self-assertiveness, your ability to change old patters and brake loose as well as the ability to respond quickly and take the necessary decisions to get your act together. It gives a clarity or honesty towards your own needs, and the ability to cultivate and nurture them. But the clarity and integrity of your own needs and self-assertion also opened a respect and understanding of others and their equal rights to stand up for themselves and their needs. In the same degree it promotes your individual autonomy it promotes the respect of the other. It made it natural to stand up for yourself in a world were that is what is done. The synchronicity of getting an invitation to the world famous artist Vebjørn Sand´s exhibition “The choice of the individual” the same day was as striking as the synchronical strike at Norwegian. The analogy of the right of the individuals was there in many ways. As in the recent debate on vaccinations where the individual freedom of choice against the mass, is central. This individual energy, or inner fire was also expressed as a heat, melting up the inner coldness, giving energy and thirst. Connecting yourself to Jasper would then give you inner strength, the ability to make choices, stand up for yourself, and be self-assertive. This instead of feeling pity for yourself, isolate yourself or feeling deserted. ONE TO TEN – from the Lords Prayer to the Chinese Heavenly Stems. Most of the old cultures used a decimal numeral system, based on 10 as we use today. There are a few exceptions based on 12, 20 (maya) or 60 (babylonians), but having 10 fingers it is quite natural that 10 has become the mostly used system of counting. I just came back from my last seminar in Helsinki, Finland were I shared my studies into the common roots of the old classical cultures. One thing which many of the old cultures share is the understanding of a ladder or sequence from the highest to the lowest in 10 stages. A hierarchy from God to Man in ten steps. The Chinese described it through the 10 heavenly stems and in the Buddhist tradition we have The Ox Herding Pictures. In Egypt we have the Creation Myth of Heliopolis (On in Egyptian). There are many more examples. 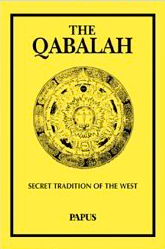 Of all these traditions the Kabbalah explains and describes these stages into an elaborate degree of detail and precision. Here we see the sequence in the Tree of Life. The Tree of Life also describes this sequence as going through 4 worlds. These correspond from above downwards to the 4 elements. In the Kabbalah these worlds describe creation as a process of condensation of moving from pure energy into matter. The upper triangle is the triangle of fire and points upwards, it is regarded as separated from the rest of the Tree by an abyss. A symbol of how this upper world of God belongs to a higher order, a level above the rest of creation. The abyss is to explain the huge spiritual distance. The next two triangles are pointing downwards, the upper is of air and the lower of water. The uppermost triangle of fire is the source of creation, constantly emitting into the others in sequence. The air triangle represents the world where the creative power becomes organized into archetypical principals then these condense even more in the next stage and start the formation of shapes in the triangle of water. At the bottom we have the worldly kingdom the material earth. Here the archetypical principles that got form in the water world becomes materialized. 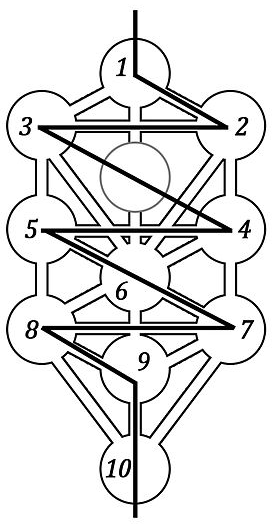 In the Kabbalah each of the ten Sephiroth represents and aspect of God with a hierarchy of different angelic beings in each. Angels (Cherubim) are the kind closest to us and take part in many aspects of our life, most important is the gathering of people into a higher degree of coherence a higher holonity. 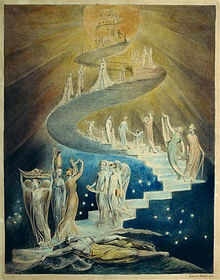 The next level, the archangels (Bnei Elohim) give us light and guidance on the path. Principalities (Elohim) are above the archangels they work with us on a even more energetic level and drive our development and evolution. They make us grow in their garden of human souls. In this garden we grow towards the spiritual aspect of the sun, where we have the malachim or kings, they cultivate virtues in us. And the sequence follows all the way to God where the seraphim eternally prays the creator in his holiness with singing “holy, holy holy”. If we look at the Lords prayer it shows the same understanding. We will take it from Sephira to Sephira from the top to the bottom of the Tree of Life. Binah: hallowed be thy name. Yesod: but deliver us from evil. Or God is all and mans union with God returns him to oneness. If we compare this with the commandments. This same structure we find in many of the old traditions. In the creational myth of Heliopolis in Egypt Atum (Amun) created from within himself Shu and Tefnut. The three together represent the highest triangle. Then Shu and Tefnut got Nut and Geb. The upper part of the air triangle, representing the gods of heaven and earth. They got Osiris, Isis, Nephtys and Set. Representing Tiphereth, Yesod, Netzach and Hod. Finally Osiris and Isis got Horus (Malkuth). There are many more examples to illustrate how all this cultures discovered the same path and stages from man to God. One day I will share more of them with you. Amethysts are amongst the most famous gemstones. A gem most people are familiar with. 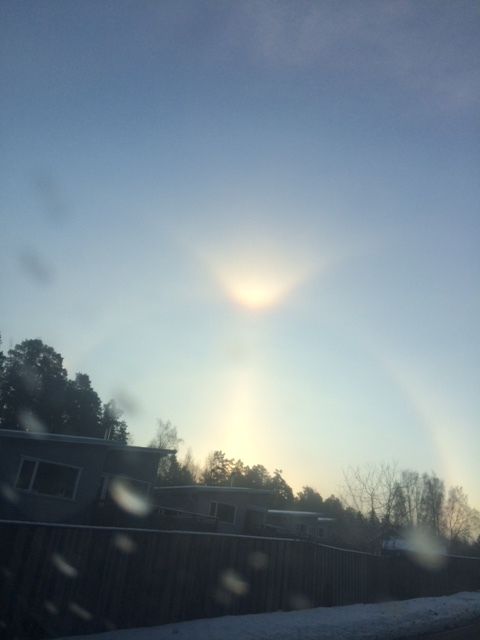 We decided to explore it Thursday 05-02-15 with a holonistic approach (Read more about holonistic knowledge here). The name A-methyst comes from the Ancient Greek “ἀ” a- (“not”) and “μέθυστος” méthystos (“intoxicated”), not-intoxicated. The Greeks believed it to relieve or help from drunkenness. When you try to understand the knowledge base of amethyst in a unified way, you will see that the qualities of Kether (The Crown) in Kabbalah or the qualities associated with Neptune have many strong analogies. Priests used amethyst to get in touch with the highest spiritual energy. It was also used to help in celibacy, to calm the nerves as well as in most issues of love. This use came to a unified understanding through our holonistic exploration. 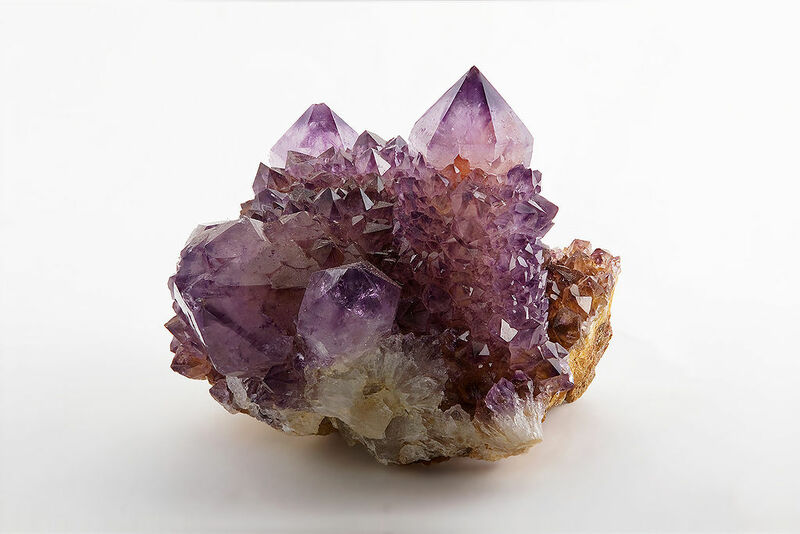 Amethyst connected us to the spiritual love of a deep unity with God, The All. It was like becoming one with the universal sea of the God Neptune. This is a good way to understand the most important aspect of celibacy. Without that love to the highest aspects of reality celibacy becomes suppression. Amethyst connects you with a higher love, with a sea of love, a love to the unity of The All. Doing that you are completed with yourself and celibacy the obvious result. Amethyst also helps you understand the mistaken addiction of alcohol or drugs as a replacement of unconditional love or connection with others. It helps to manifest the aim of the priest being a source or channel where the highest aspect of the universe can manifest through. That is why priests used Amethyst rings. So from a perspective of Amethyst having the ability to convey universal unconditional detached love we can understand its traditional use. The participants in the experiment even felt the calmness like you would imagine it would be to be a crystal if you could. This could confirm the calming effect on the nerves that amethyst is believed to give. 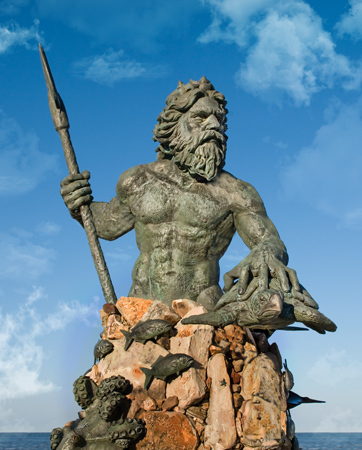 Neptune is the ancient “God of the Sea”, be it the universal sea, or the wordily sea, even the sea of intoxication. Sea in hebrew Maim, is part of the hebrew word Shamain meaning Heaven or “sea of fire”. Etymologically we can see the connection with Marum (lat.) or Mer (fr.) and Mar (sp.). I suspect an etymological connection to the Egyptian Mer, meaning love. So Neptune is both connected with the wordily sea of emotions and intoxication as with the universal sea of sublime unconditional love. You can drown or dissolve in both. Where you see solve (solve, free, unfasten, loose, dissolve) you see coagula (coagulation, materialisation, fixation). Where you see Neptune look for Saturn. Everything in life has a quality due to the reduction of its opposite. Everything is manifest due to an underlying polarity that makes it come forward from its original united but hidden source. Reconnecting the opposites is like solve, dissolving the manifestation into a hidden “nothing”. This is also an aspect of Neptune, the intoxicated, foggy, unclear side that on the highest level of awareness is letting go of your ego to connect to a higher spiritual state of submission to the heavens like Christ said hanging on the cross “thy will be done”. Amethysts can help you if you feel closed towards your loved ones or distant to the universal sea, to God the omnipresent unconditional love is remedied through the Amethyst. Amethyst gives you the ability to get in touch with the “sea of fire”, the Shamain and hence substitute the reason behind getting intoxicated. The highest love is pure and gives clarity, it is detached and gives freedom, it is unconditional and spiritual. When you submerge yourself in Amethyst the need for drugs or addiction is resolved and you get into a stable crystalline state of deep connection. Both closing off (coagula) or getting intoxicated (solve) is cured or healed by Amethyst. The closing off or coagula is reunited with solve. They become integrated through a connection with the highest, or a love to the highest. The solve or intoxication becomes a reconnection to a place where there never was any separation, the spiritual coherent love we all are submerged in. It is like an island realizing the sea that connects it with the whole world always was there around it, as it dissolves it floats into a connection with it all. That is also why Amethyst helps to reconnect with persons you have been apart from for years. This reunion is a clear pure unconditional reunion, a reunion from high above, from long ago, an eternal reunion. It can be compared with the reunion that you have when you reconnect with those you meet when you die. The closest of your soul peers, your soul family. A reconnection with a connection that was always there, even if you were in a delusion of separation. If you have gone astray, a castaway or shipwrecked person in the sea of love, not letting yourself dissolve, a coagulated state, like the cubic salt crystals on the sea shore, dwelling on the past loss, grieving or becoming cold and hard, Amethyst can let you dissolve that island so you again can swim, drink, wash and purify yourself with the sea of love. On the other side if you drown in Neptunian abuse, intoxication escaping into a foggy delusion of reality, substituting connection with the real love, with delusional indulgences in passion or addiction, Amethyst can help you get dry on shore and find your integrity in a stable state, like a crystal that realizes its grid of connection with the universal love. With amethyst those two extremes are dissolved or focused. It creates a balance of solve & coagula. The frozen isolated island coagula lets itself dissolve and the foggy floating solve, retains its focus and reconnects with the stable crystal of eternal love. The analogy with Neptune should be obvious. Kether, the Crown in the Tree of Life is also associated with Neptune, in the Kabbalah. Kether represent the first manifestation from the “nothing” or Ain, a coagula or a solve depending on the direction. This meeting point of solve and coagula at the highest point in the Tree of Life is described as a face in profile. One side is manifested the other hidden. This represents the solve et coagula of the face of God, the divine countenance. You can think about the creation in the Bible and the spirit of God moving over the surface of the waters a state where darkness was over the surface of the deep and the earth was formless and void. This is the state just before God creates light. 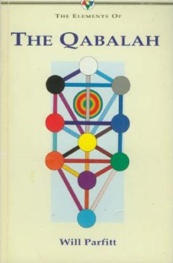 Kether is also manifested as Reshit ha galgalim or the first swirling, the first stirring of the cosmic sea, the magic stick which God turns around to make it all move, the primum mobile. The meeting point between the unformed endless limitless eternal cosmic sea and the first manifestation, the first movement or intention. Kether is where the Hayot Ha Kodesh The Holy Living Animals dwell. They are the four-faced beings representing the spiritual quint-essence of the four elements, the stable fixed principle of solid manifestation, coagula. We see here that Kether and Neptune both describe the quality in Amethyst in a good way. The Egyptian God, Banebdjet, is a ramheaded God with four heads. He was central to the delta area in Egypt. Old Egypt has been regarded as a micro-cosmos in the macro-cosmos, the land was a man with the head in the north and the nile as the spine. The delta was the crown, and this God being allocated in this area reflects their understanding of the qualities of Kether. 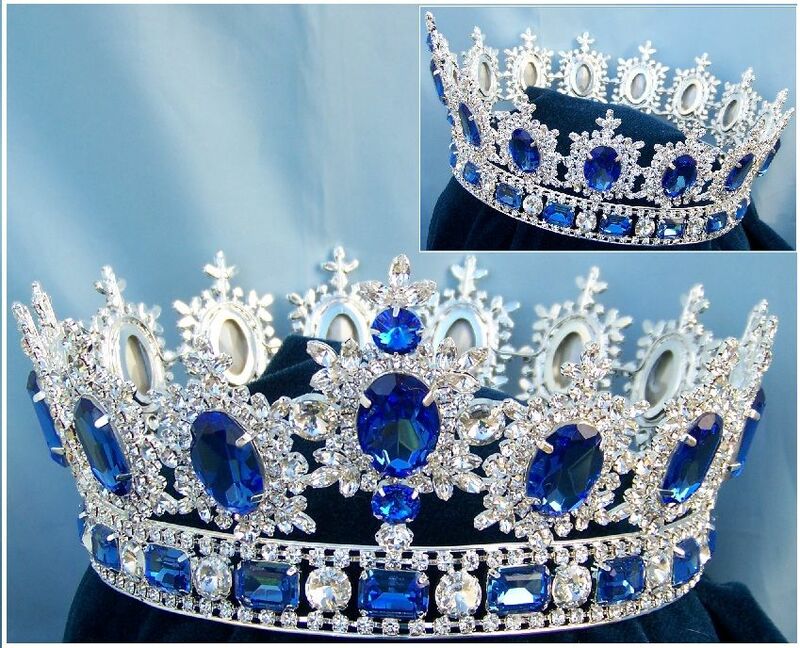 (North is crown of the body and hence Kether). Banebdjets four heads is an analogy to the Hayot Ha Kodesh with the four faces of a bull, lion, eagle and man. He was the main God of Mendes in the Delta. His name is written Ba-neb-djedet and he represents The All, all that is, that was and will be, even all that is not. The meeting point of solve and coagula, of the created and not-created. The resolution of the all and nothing in the same way as the Hebrew letter Aleph in the understanding of Carlo Suares “The resolution of the paradox of all and nothing” Ba-neb-djed literarily means Ram/soul-lord/gold-stability. A name containing the Universal Soul, the primum mobile, the ram or Lam of God, the soul of gold, all connected in eternal stability (djed). The Amethyst did opened up an understanding of a love so sublime, so high, so free, so unconditional, so detached, so cold and warm at the same time, that it is like light and darkness, connection and disconnection, all and nothing completely united. Any comments? Please tell us. Garnet was the most commonly used gemstone in the Late Antique Roman world. Its name comes from the middel english word “gernet” meaning dark red. Which comes from the Latin word granatus (Seed, grain) most likely referring to pomegranate (Punica granatum) with its shiny red seeds. Even if it is mainly associated with red as seen above, today we know the chemical compositions has variations with a few different colors. Gemstones are rare, precious, beautiful, valuable flowers from the deep dark earth. People believed them to have healing abilities, to be able to confer spiritual powers and connect us to a more subtle reality. Thursday 15-01-15 the holonity group met to open our selves to Garnet. Based on a holonistic approach to knowledge we decided to explore the realm of gemstones. We live in a time where words, and exchange of fragmented information through media and mobile devices takes a big part of our day. It is an activity of communication, information and restless back and forth, repeating and changing with little higher perspective. The www has opened up a possibility were all can be expressed and all can be accessed. But we humans are still using this tool in an immature way, we easily get lost in fragments and details. Some people even take the misuse to an extreme where any disagreement is ridiculed or harassed. But both these aspects, the one of being lost in the woods and the one of using words indiscreetly are just steps on the way. What is the next step in the evolution of human society and culture? According to the Kabbalah the first step is dominated by the third sephira Hod or the qualities of the planet Mercury or the archetype Young boy, the next step will then be Netzach, Venus or young girl. We will come back to this. A pyramid with Silica as the core, centre or heart. Diamonds have the same triangularpyramid (tetrahedron), but it only consist of carbons. Place carbon where you have silica and oxygen above and you have the structure of diamonds. This common factor in the most common Garnet variations can be seen in the last part of the formula, where we see that they all have 3 such pyramids. From this we see that silica takes a central place in Garnet, as it does in many other gemstones. 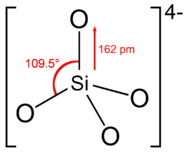 So what can we say about silica? From homeopathy we have some interesting knowledge of silica. It is an element in period 3 and group 14. 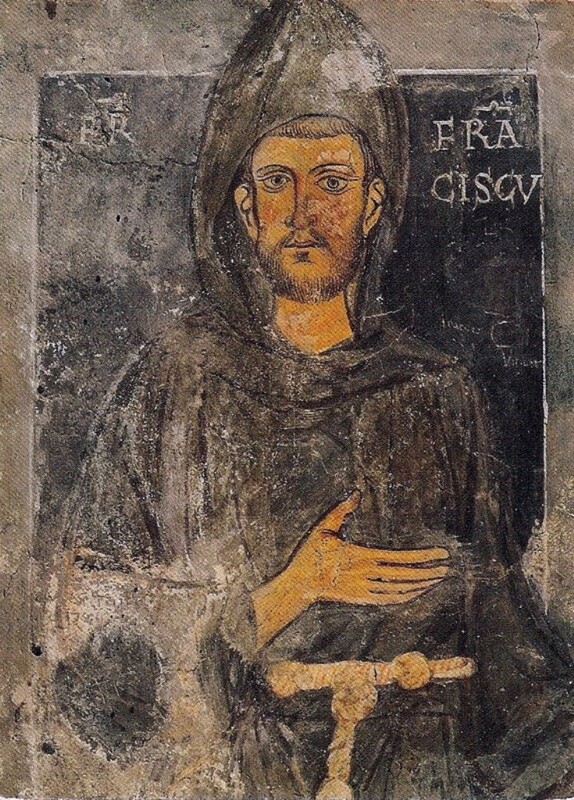 Silica is connected to other elements in period 3 with a common quality of exchange and communication a youthful quality. Elements in group 14 have a quality that can be symbolized with a door. They are standing at the threshold, should I stay or should I go? Do I have the guts, the energy, the confidence to step out of the door and meet the next level in life? From a kabbalistic perspective group 14 corresponds to Daleth, the door. The door between life and death (carbon and silica), between light and darkness or white and black. As we will explore the gems we will see how this manifest in different ways. From Garnet we learned that communication was a central point, it was a question of feeling connected or not. There was a focus around the throat chakra with symptoms from neck and throat. The connection issues also came forth in symptoms from the joints – joining or connecting body parts. A clear polarity with strong separation issues between to opposed part came forward in the experiment. Disagreements with deep conflicts, separation from death, both solved by reaching a level of deep eternal connection with realization that any separation is delusional. A deep state of peace and confidence where any challenge are already solved. 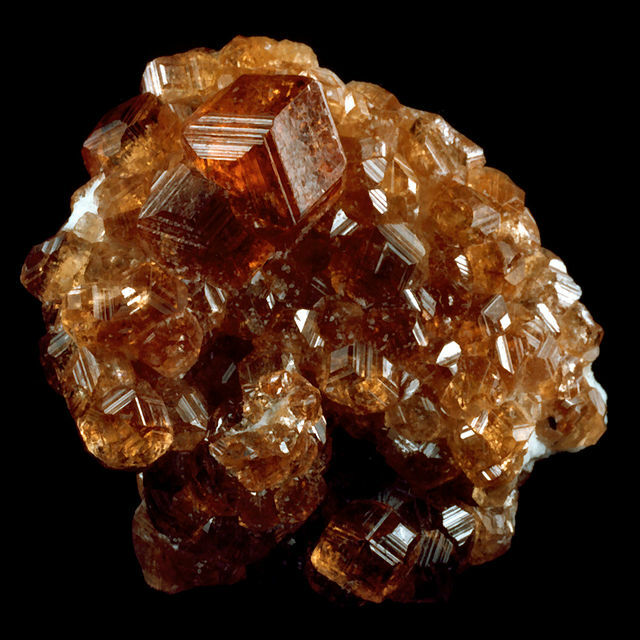 Garnet solves this polarity of dispute, separation, unclear statements, misunderstandings and disagreement with dissolving the veil of illusions and making us realize that at a deeper level we are, were and will always be one. A unity in a profound peaceful way, where there is a deep silence and quietness, almost like being in a crystal. Garnet opens the heart to a state of deeper connections, the unity that is the truth, with a purity and clarity that only truth is capable of. 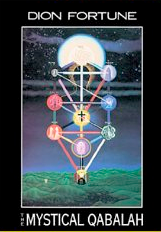 In Kabbalah Adam Kadmon is the great man, the archetype of man, the picture we were created after. Higher than Kether, the Crown or top of the Tree of Life we have the Lamb of God, ruled by the sign of Aries, the first sign in the zodiac and also said to be red. Garnet is red and it gives you a sense of coherence with Adam Kadmon. Adam is A-dam or Aleph in the blood (dam). The Aleph in the red blood. Adamah is the earth or ground, or red clay. There is an etymological connection between adam and adamah and the words: Earth, man and red. We can conclude that where humankind feels strong dispute, conflict or separation, based on the illusion of being in two different places, Garnet reconnects us in Adam Kadmon where we always have been connected in deep unity. Letters started as pictures. Imagine the letter A upside down og you realize how it was picturing the ox. With time the ox head turn 90 degrees a was lying and later turned to become our present A. Each letter started as a picture or a concept. The structure behind Persian, Arabic, Greek and Hebrew letters show a relation going back to common roots. The structure seems planed and has been found in the old Egyptian culture too. 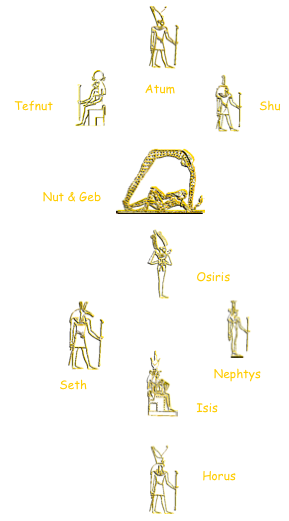 The old Egyptians perceived creation in different myths. One was in a hierarchy of 9 creative Gods, the Paut-Neteru (Nine-Gods), and in these old alphabets the structure of nine is strong. In Egypt every town or village had their triads of Gods, and trinity is frequent in many theologies and mythologies. When ever we see 3, representing a unity or wholeness, one will represent stability, action and the last balance. By combining 3 with 3 with 3 you get 3x3x3 or 33, the 27 basic letters. In the hebrew alphabet the first nine letters represent the numbers from 1-9, the next nine letters the numbers from 10-90 and the last nine letters the numbers from 100-900. 9: Seed, hibernation or completion. These 9 principals are then described in 3 levels; The basic archetypes (1-9), these manifested in life, incarnated (10-90) and then transcended and returned to the source (100-900). 1 Aleph means Ox, energy source, the potential of getting things done, getting more cattle. Equivalent of your interest in the bank, a tractor, power station, or a jeep (4W & winch etc.) This is pure energy, pure power, creative energy, but also unity with the source, the highest of highest. It is the unity where all and nothing becomes one. 2 Beth means House, a container, the space where the creator manifests, and the manifested creation. Keep and contain. Creator and Creation, two-ness. The preposition “in” as “In the beginning”. Which could be read as “the container of beginnings”. Here Aleph can manifest and dwell. 3 Gimmel means Camel, transport, communication. As you can see in exchange of thoughts, persons and goods – trade. Any exchange between two units; energy, thoughts, words, looks, ideas, things etc. Now one Beth can relate to another Beth or commute between Beth´s. 4 Daleth means Door, e.g. inside or outside, left or right, choice, differentiation, friction, regulation. Now gimmel become regulated, slowed down, adjusted and differentiated. 5 He means Window, breathing hole, respiration, pulsating life and autonomous manifestation. Like man as a pentagram, the five senses and unfolding life. Now Aleph has reached the biggest distance to itself on the circle and can perceive him-her-self, as opposed. 6 Vav means Plug, nail, connection. The conjunction “and”, and all that connects, merges, grows into another, combines, joins, fixes and seals. But also penetration and fertilization. Now “He” can join “He” in fertility and company. 7 Zain means Sword, regalia, sovereignty and diplomas. This letter represents all potential possibilities that is mastered. Now the creation is in tune with the creator again. 8 Cheth means Fence, border, exclusion. Dissolution, destruction or chaos. All is broken down to the basic elements and returning to potential use. Again they can be part of a new Beth. 9 Teth is a coiled snake, the circle is completed, the plant turned into seed. Hibernation, rest, coiled potential in a seed to become the big tree. Aleph returns home to itself, enriched with experience. 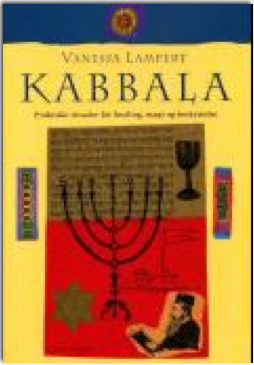 Mange Kabbalah bøker er basert på andre bøker og er ikke unike. Jeg har forsøkt å plukke ut de bøkene der jeg mener forfatteren leverer et indre og levende budskap. Lett skrevet, full av livsvisdom. Finns oversatt til engelsk. Omraam har vært viktig for min egen åndelige utvikling. Inneholder tre bøker fra Zohar. For den som ønsker å fordype seg i bokstavene og tekstene. Opprinnelig på fransk. Alle bokstaver og deres kombinasjoner i to og to med en dyp forståelse. Opprinnelig fransk. Inneholder en oversettelse av de ti første kapitler i Genesis. Denne er stor og tar litt tid. En gammel klassiker med masse ulike plansjer. Mange fasetter som du ikke finner andre steder, men ikke en dyp enhetlig forståelse. Mer som et besøk i et antikvariat der ulike bøker er satt sammen til en.